Part of the pleasure in watching a Val Lewton horror film is in seeing how artfully he chose to interpret the gawdy titles that RKO foisted on him. 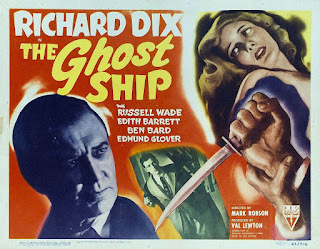 His fifth film as their B-movie producer was The Ghost Ship, released on Christmas Eve 1943. It was an apt time of year for a spectral tale, but here he engineered a story whose connection to its name was the most tenuous yet. Instead of manifesting external spook shocks, its haunting power was internalised within its protagonist to the point where The Ghost Ship could be described as a tense nautical drama, yet still delivers the chills and foreboding of a horror film. Lewton continued to use Mark Robson as director following The Seventh Victim which only came out four months before. 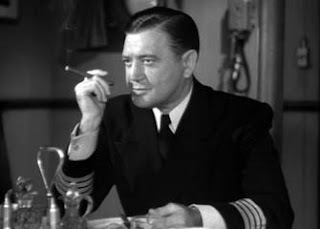 The script by Donald Henderson Clarke charts the choppy waters suffered by a ship whose new Third Officer (Russell Wade) becomes embroiled in the sinister mind games of its mentally unstable Captain (Richard Dix). 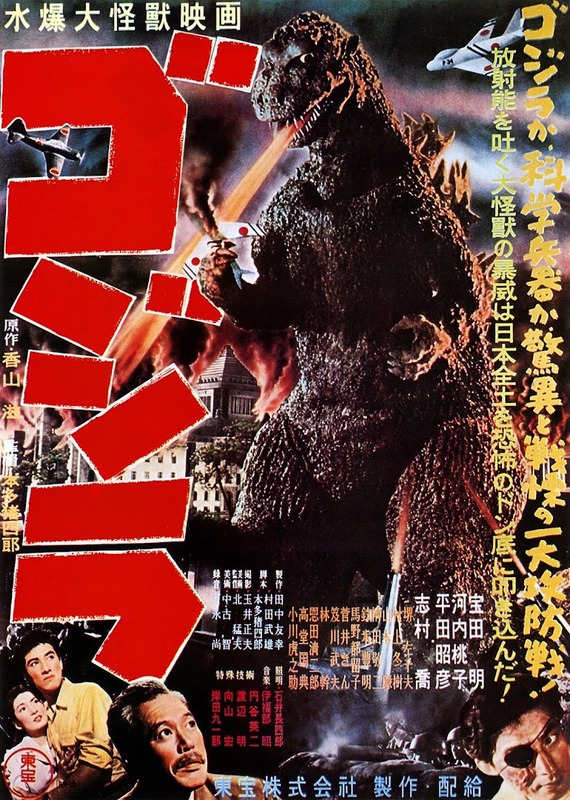 Although the film did well in cinemas, the screenplay was considered so similar to a play by Samuel R. Golding and Norbert Faulkner that they sued Lewton in February 1944. The film was subsequently pulled from release and shelved for over fifty years till it came out as part of 2005’s superb DVD box set The Val Lewton Horror Collection (which I highly recommend). 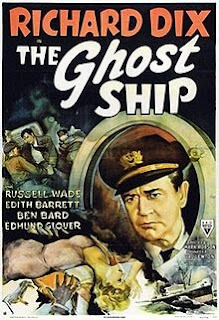 On the subject of influences, ironically The Ghost Ship could be seen as an inspiration, intentional or otherwise, on a number of seafaring mutiny movies that followed -discounting the historically controversial accounts of the Mutiny on the Bounty of 1789 and the various film versions already shot. The battle of wills between (in)subordinate officer and ship’s Captain was later memorably explored in the riveting courtroom drama The Caine Mutiny Court Martial (staged in 1953 and first filmed in 1954) and the dark comedy Mister Roberts (a 1948 play and 1955 film). The themes of duty, responsibility and mental illness are ideal vehicles for morally complex dramas, not to mention fodder for grand scenery-chewing central performances by the likes of Humphrey Bogart and James Cagney in the aforementioned films respectively. Whereas The Caine Mutiny Court Martial avoided easy judgement of its isolated commanding officer’s decline, The Ghost Ship positions our sympathies firmly with the younger man. Russell Wade is well cast as the clean-cut, gauche Merriam who looks forward to beginning his post-training maiden voyage on the Altair. No Lewton film would be complete without bad omens, provided in this case by a blind peddler (Alec Craig, in a nod to his McCoy from the 1935 Mutiny on the Bounty of all things). Sightless he may be, but this sea-dog can foresee danger: “Only the old ones know that there’s nothing but bad luck and bad blows at sea”. Not for nothing does he book-end the film accompanying himself singing ‘Blow the Man Down’. Wade played the gallant soul whose voice and car assistance failed to save two female victims from Lewton and Tourneur’s The Leopard Man earlier that year. Here, his character’s innate goodness and touching faith in humanity will become overtly tested in a call to challenge a mounting evil on board ship. At first, he seems to bond with Captain Stone, a relationship pinpointed as fulfilling his orphaned upbringing need for a father figure. However, events soon disabuse him of seeking to deepen that friendship. Many critics have praised Richard Dix in the vital role of Stone, yet for me he is almost ruinously wooden and awkward, all the more inexplicable as he was talented enough to receive an Oscar nomination for Cimarron (1931). He was famously known for acting in westerns (so much so that Mel Brooks’ fans may recall him name-checked in an in-joke by David Huddleston during 1974’s Blazing Saddles “Remember when Richard Dix came in here and tried to take over this town?”). In this film, he delivers his lines in a manner that is distractingly ultra-relaxed to the point of disinterest, with occasional suspicious slurring of words and a couple of moments where his eyeline clearly wanders off-set. Whilst any suggestion of unproven booze or cue-card reliance wouldn’t be fair, discovering Dix’s full-blown alcoholism at the time after viewing The Ghost Ship backs up evidence in his performance. You can see that editor John Lockert clearly had to salvage what he could from some poor takes by sometimes cutting away from him mid-line during scenes. Still, there is just enough natural poise within Dix to inhabit the most crucial aspect of Stone, an increasing mania for the display and maintenance of authority. Early on, this is disguised as a selective benevolence; he gently reprimands Merriam for swatting a moth, telling him that the insect should be left alone as “Its safety does not depend on you”. As we will soon uncover, the rolling Stone is a sadist who reserves a deep-seated cruelty for those who are directly under his control. “I have certain rights of risk over them…I have the right to do what I want with the crew”, he disconcertingly tell this new member. His friend ‘Sparks’ Winslow (Edmund Glover), the radio operator, gives him the cold shoulder. 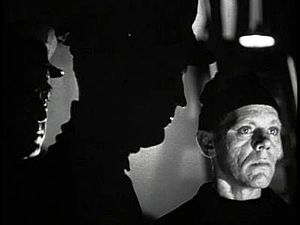 Amongst the men there is one intriguing figure who stands alone and unavoidably silent and that is Finn the Mute played by Skelton Knaggs whom we last saw in menacing form aboard 1939’s utterly unseaworthy Torture Ship (see my review of 25/11/2017). His diminutive size and pock-marked visage suggest a malevolent elf, yet under the watchful, literate eye of Lewton he is the vessel’s Cassandra, narrating for our ears only his hushed inner monologue of awful uncanny premonitions. He studies Merriam favourably and appears to be a protector, though initially a passive one, observing his Captain’s impending madness. “I know…and I will watch” he tell us. The only sense of an interior life for Stone is provided by his girlfriend Ellen, a vivacious turn from I Walked with A Zombie’s Ellen Barratt, who Merriam meets at a port. She urges him not to end up like his lonely, emotionally remote commander otherwise “in the end it will be only a ghost ship you’ll command”. Not only does this neatly tick off the producer’s commitment to a title connection, but Ellen promises to match-make him with her sister. Merriam could certainly use some good news as the Shipping Agent (Boyd Davis) sets up an informal hearing in which the crewmen officially freeze him out. They even cover up that Stone chickened out of giving their Greek shipmate a radio-assisted appendectomy, leaving Merriam to wield the scalpel without even a thank you. Back on board ship, slowly Merriam manages to prove that no Stone is homicidally unturned. Sparks shows him a radiogram reply that Stone ordered him to send to Ellen after she inquires after Merriam in concern – claiming that Merriam is not aboard. Stone rouses Merriam the same night to send a message himself, this time claiming his buddy was tragically lost overboard. Merriam goes ballistic, or would do if Robson was able to have both the movie’s fights choreographed convincingly. Our hero is confined to his cabin, tied and sedated. Meanwhile First Officer Bowns (The Seventh Victim’s cult leader Mr Brun) also begins to suspect this is one Stone that may sink them all. A soundbite from his private talk with his crewmates - “The boy is right”- reverberates in Stone’s fevered brain. His cabin offers no sanctuary, teasing him with his wall plaque ‘WHO DOES NOT HEED THE RUDDER SHALL MEET THE ROCK’ – a double-edged aphorism that may justify his tyranny to himself and offer an unheeded warning of his insane God complex. Finally, he snaps and heads off to Merriam’s quarters to stab him with a carving knife in a sequence that at least boosts the actor Dix into a state of belated animation. Suddenly we are in like Finn, as the commentator turns proactive and grapples with Stone, fatally stabbing him amid some very disjointed editing. Finn then leads us into a soothing epilogue where normality is restored. “The boy is safe – and his belief in men and men’s emotional goodness is secure”. The line’s unsubtle reassurance may have been intended to offset any inference that The Ghost Ship belied the decency and bravery of war-time naval servicemen celebrated in such films as 1942’s In Which We Serve. Merriam also gets his promised date with Ellen’s sister after being sea-shanty serenaded off the gang-plank by the peddler, albeit teasingly conveyed in silhouette. 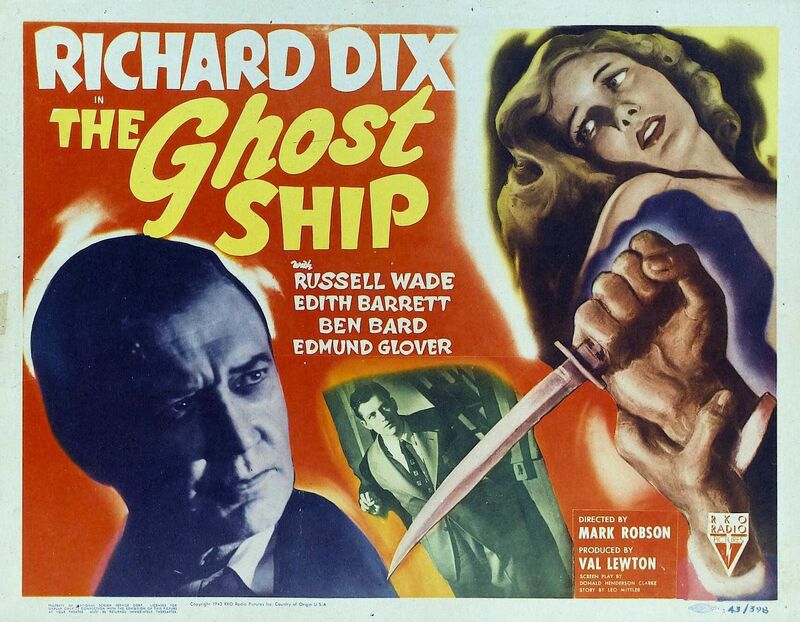 Although it is more straightforward in some ways and less thematically layered, The Ghost Ship has a great, tense atmosphere aided by Musuraca bathing the actors in a half-light throughout and underlined by an effective music score from Roy Webb. Its greater simplicity than Lewton’s previous films also works in its claustrophobic storytelling, demonstrating overall that he could still pull off an admirable level of quality in spite of by RKO’s low budgets and demanding time-scales.